Figure F8. 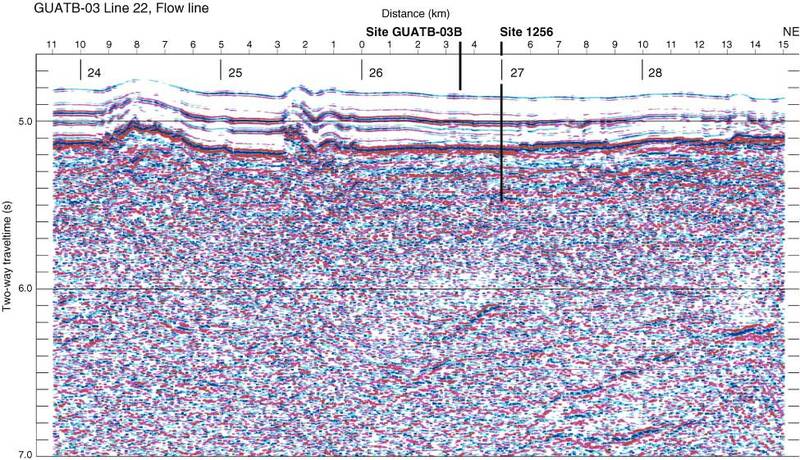 Stacked, migrated section of MCS data from seismic Line 22, showing positions of primary drill Site 1256 and alternate Site GUATB-03B. Crossing positions of Lines 2428 are labeled.